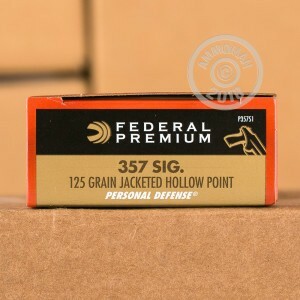 This Federal ammunition will serve well as a carry load for your .357 SIG pistol. 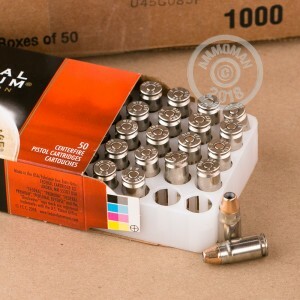 Each cartridge in this box of 50 fires a 125 grain jacketed hollow point bullet at a muzzle velocity of 1,350 feet per second. The high velocity of this ammo (typical of 357 SIG rounds) lends itself well to effective expansion. 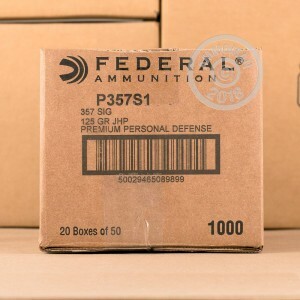 Federal Personal Defense ammo is loaded in Anoka, Minnesota using non-corrosive Boxer primers and nickel-plated brass cases. Place an order for $99 or more and earn free shipping from AmmoMan.com!